Will partnered with Learning Ally back in June 2013 for the first the Spotlight on Dyslexia Conference. Learning Ally provides books on tape for the dyslexic and blind. Seeing the success of that first conference, they asked Will if he would be able to host another. With college on the horizon, he didn’t think it would be possible. So, together they decided that Learning Ally would continue the legacy of Spotlight on Dyslexia Conference. The partnership between Learning Ally and Spotlight on Dyslexia has been a wonderful collaboration of some awesome minds to produce the current Spotlight on Dyslexia Conferences. Learn more about Learning Ally here. 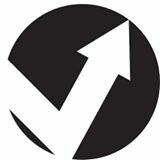 Will partnered with Opportunity Rise on a great endeavor in February 2015. Opportunity Rise is a non-profit started by Andrew Rosenstein and Sophia Gross, dyslexic high school students at AIM Academy in Conshohocken, PA. Opportunity Rise is a student led organization that raises awareness for students with learning differences. They are developing an online community to encourage students with learning differences worldwide to share experiences and projects together. They are passing on the message that a learning difference can be an advantage while changing misconceptions. Spotlight on Dyslexia and Opportunity Rise are currently exploring the possibility of building a network offering free screenings for dyslexia for families as well as expanding their mission to promote more awareness of dyslexia. Learn more about Opportunity Rise here. Will has partnered with several departments at Saint Joseph’s University. He is currently working with Dr. Carolyn Berenato on a Summer Scholar research project that will produce a resource guide for parents and schools in New Jersey and Pennsylvania. He is also working with the Education Departments and Office of Disabilities to create a chapter of Eye to Eye, a mentoring organization, on campus. Lastly, he is also working with the Office of Inclusion and Diversity on various topics, one being creating more dyslexic friendly campus. He also has presented on how he uses Learning Ally to help him be successful in the classroom. Saint Joseph’s University is one of eighteen programs in nation that has a program that is accredited by the IDA. Saint Joseph’s University Master in Special Education is a unique opportunity where student will intern during the day at a school that caters to dyslexia such as AIM Academy while taking classes at night. Will partnered with Decoding Dyslexia New Jersey back in June 2013 for the first the Spotlight on Dyslexia Conference. Since then, he has become part of the parent grassroots movement that has swept the country. When he is able to Will travels to Washington D.C. to advocate for dyslexia with them as well as help with events. 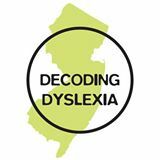 Learn more about Decoding Dyslexia New Jersey here and learn more about Decoding Dyslexia USA here. Will has presented for NJ IDA on how he became a striving advocate from a struggling student. You can view his presentation “From Struggling Student to Striving Advocate” here. He was honored with the Neiswand Outstanding Student Award. The Neiswand Outstanding Student Award is presented annually to an individual with dyslexia living in New Jersey. The award is presented to a student of any age who has committed a minimum of two years to reading remediation and demonstrates an understanding of his or her struggles, a positive attitude and motivation in the face of ongoing challenge. Learn more about NJ IDA here. Interested in collaborating with Spotlight on Dyslexia? Feel free to contact us here. We would love to hear about your project or event!